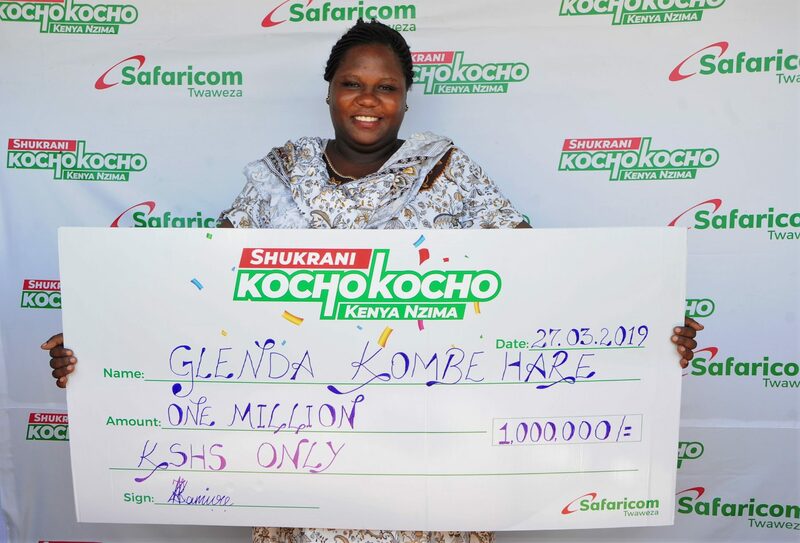 Glenda Kombe Hare from Malindi town is among the winners of Ksh. 1 million in the ongoing Shukrani KochoKocho consumer promotion by Safaricom. The promotion has entered its fifth week having launched in February. It has has so far seen more than two million customers from across the country awarded with weekly cash and daily airtime prizes worth millions of shillings. The promotion is designed to have weekly draws for each of the eight regions to reward customers. In addition, more than 500,000 customers are expected to win cash prizes of Ksh. 1,000 and above while more than 5 million other customers stand to win daily airtime prizes. Entry into the Shukrani Kochokocho promotion is automatic. For every Ksh. 20 airtime recharge Safaricom network either via scratch cards or M-PESA, you will receive 10 entries into the promotion. Additionally, every Ksh. 20 transacted on M-PESA will attract one entry. Only person to person (send money), PayBill, Buy Goods and business to customer M-Pesa transactions are eligible. You can check the number of entries you have accumulated by dialing *456#. Wow this is good rags to riches story.